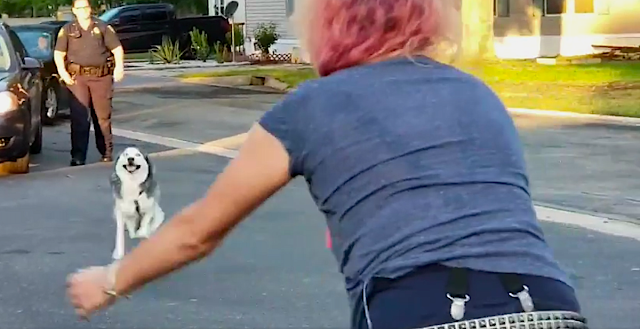 It turns out her Husky was stolen, and her name had been replaced as the owner on the microchip. 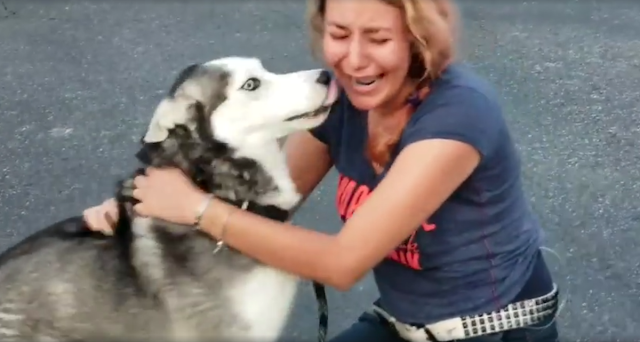 Semper the Husky came into Kameroun Mares’ life at a time when she needed him the most. She was being treated for acute lymphoblastic leukemia and needed the companionship more than ever before. Shortly after getting chemotherapy, she met the young pup and decided to bring him into her life. She named him Semper Fidelis — Latin for “always faithful” — and they hit it off right away. But when she had to go to California from Florida for further treatment, something unthinkable happened. She received a call from her roommate at the time who said Semper had gone missing. Kameroun tried everything possible to track her Husky down but ended up turning to private investigator Ana Campos for help. It turned out Semper had been stolen by someone, and they replaced Kameroun’s name on the microchip. The company didn’t check to see whether or not someone was already registered as the owner, so they got away with it. Ana saw that Semper had been put up for sale on Craigslist for $200, and all of this is why Kameroun’s searching had been unsuccessful. But after two long years, it was finally time to reunite the dog with his rightful owner. And the reunion did not disappoint. Not only is Semper back with his mom, but Kameroun is now in remission! There couldn’t have been a better ending to this story.